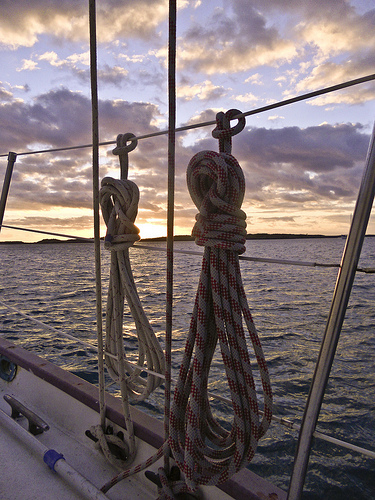 Ahh… life on a boat. What is better than sailing around a gorgeous ocean, eating amazing food, seeing a world that humans were never meant to see, and escaping from society as we know it? Not much by my standards! What is a Liveaboard… and Do I Belong? 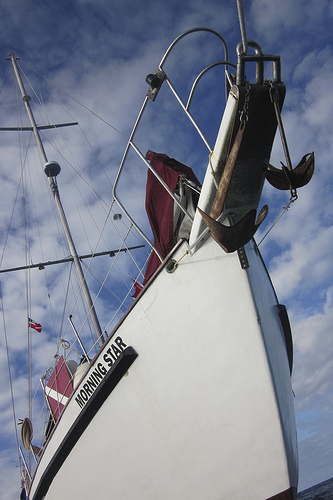 A liveaboard is a boat that has been modified for people to live aboard. 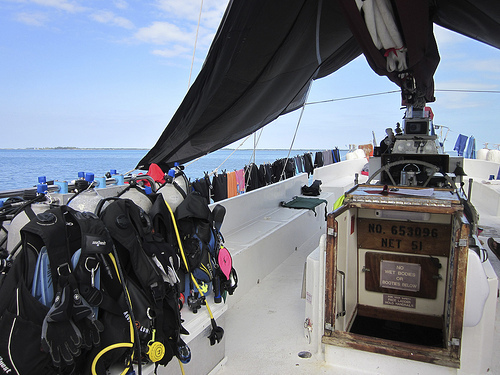 There are many options and varieties but the most common are outfitted for SCUBA diving charters, sailing charters, or both. Although liveaboards are one of the easiest and most amazing vacations, I have discovered many women are intimidated by liveaboard trips. Even more men are convinced that their wives, sisters, and daughters would not enjoy such a vacation as they are not “tough” enough. What a typical sentiment of the old dive industry! The older divers inflate the sense of challenge to what is really a leisurely hobby. But this is for women too! Perhaps those men are just intimidated because they know their female counterparts will breathe less air and disturb less silt… showing them up in the weightless world. In short: Ladies, you will love it! I have been both a passenger on a liveaboard and a crew member so I have two perspectives to offer. 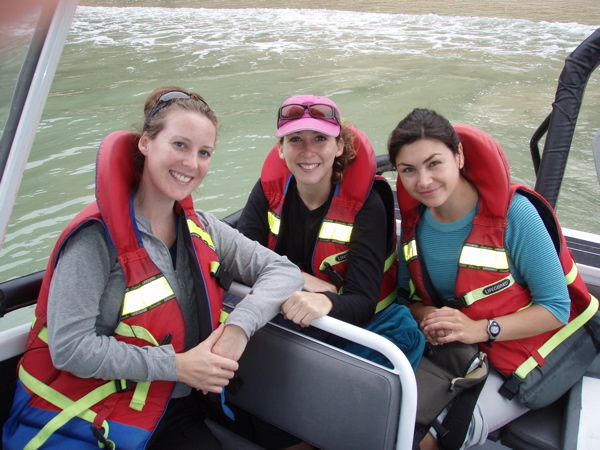 My first liveaboard was also my first real diving experience after my Open Water Certification so I have experienced liveaboards at all stages of my diving ability. First, as a passenger, you can expect accommodations that range from camping at sea to a nice floating hotel. The price is a sure-fire way of figuring out where the boat falls within that range. You can also expect to meet a lot of men unless it is a couples trip when there is close to a 50-50 split. The age of the average diver on your boat will depend on the region of the world and the price. The Caribbean sees a lot of Baby Boomer divers, for example, while Southeast Asia has a younger dive community, though most boats will have all age ranges represented in any given week. 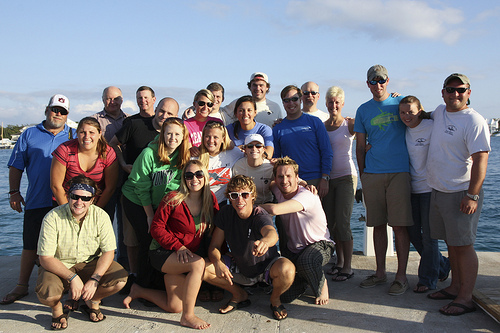 The crew and instructors on liveaboards are generally young and passionate about their profession. Expect lots of diving, probably more dives than you will want, and lots of talk about fish, the sea, the weather, boating, sailing… in short, expect to learn while aboard. Examine more than cost when choosing your level of accommodation. The type of environment you desire will be based upon many factors. On the “luxury” liveaboards, expect lots of couples to take advantage of the double occupancy accommodations. Many of those couples will spend a great deal of time in their rooms or keeping to themselves as space allows on a very large boat. If you are worried about getting along with a boat full of strangers for a week, this may be a good option for you. The larger the boat, the more divided crew responsibility becomes so you can also expect less interaction with your crew. For those of you traveling solo, hoping to meet some interesting people, or just plain social butterflies, camping at sea will be more to your liking. If you would like to meet people but are painfully shy, this is the best travel option you could ever hope for! Even the shyest person will be forced in the small setting to meet new people and it will be easy! Consider a liveaboard on a sailboat where the passengers are encouraged to help with sailing or captaining the boat. Additionally, trips that take you ashore during tank fills and show you around the area you are visiting creates opportunities to interact with crew and passengers out of the water. Don’t be surprised if friendships are made and you plan future trips with your new friends. The downside to camping at sea is the lack of privacy. Your accommodations may include bunks that house you and all of your belongings. Unless you are comfortable naked in front of everyone, plan on changing in there as well. Heads (the name for a marine toilet) and showers are generally shared. Some heads may be rudimentary. These nuances are generally non-issues even for the most feminine of us as there is no place to go so no reason to do hair or makeup. If you have a group of friends that wish to travel together, find a boat that meets the size of your party. The captain is then able to accommodate the activities your group prefers and can avoid juggling other preferences. If four to five dives a day sounds monotonous, you are not sure how much you will love diving, or you are introducing someone to diving, make sure you select a vessel with sea kayaks, paddle boards, sails, or fishing gear. These boats will offer other activities and more dynamic liveaboard experience. Most ladies I know chill faster than men so please check out the average water temperature before you plan your trip and find a wetsuit you like. I am a year round diver but prefer the water very close to the equator during the winter. 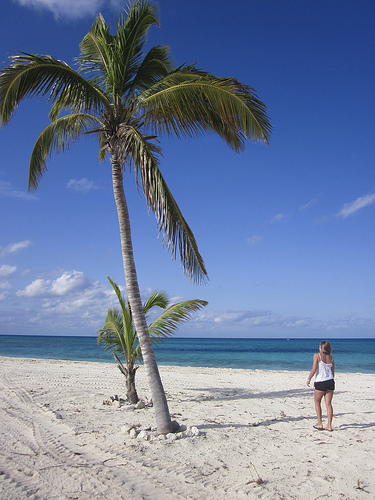 Parts of the Caribbean can be chilly in February. 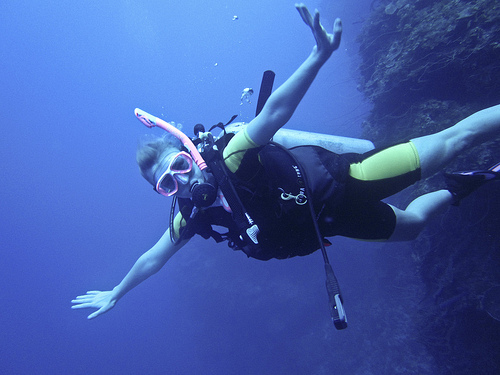 Divers are generally in the water multiple times a day so there is little need for a proper shower. In preparation, I recommend a good wax before going to avoid shaving legs on a moving boat either in a tiny shower or on deck in front of everybody. What you will find on all boats is good food. Because the crew is fed the same food and they eat it every week… you can expect lots of it and it will be tasty. If you have extreme dietary needs, make sure to choose a boat that would provision from a developed country. Gluten free pasta is not offered in many areas of the world! Expect an experienced dive instructor on board. Many of your crew members will be at an instructor level and have thousands of dives. Ask them your questions and for help when needed. A good crew can normally be determined by how long they have worked together. They become a make-shift family and the better they know each other, the smoother your trip will run. Look for the captain to set the mood. If you like him, you will probably love your trip. The most common error is packing too much. You will wear a swim suit all day, every day. Most will want a dry one on as much as possible so bring lots. More than you think. Other than that, you will need very little aside from your dive gear. A swim suit cover up. Good sunglasses. A hoody in the winter. A rain jacket just in case. Flip flops. Something to sleep in. Leave-in conditioner. Sunscreen. That’s it. You will not need dresses, make up, real shoes, or any type of real clothing except for your plans on land before and after your trip. You will not wear the latest yachting look found in your fashion magazine. Clearly I love liveaboards enough to transition from passenger to crew member. 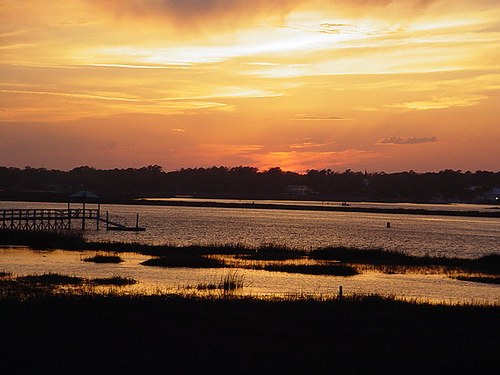 It is a tough life for your crew and they work extremely hard to show you a world they love. They give up everything for this life: their family and friends, their independence, all modern conveniences, but in an exchange they get to show hundreds of people every year their amazing world. But there are no guarantees. Weather can turn sour, boats break, people get sick… I had a captain once that loved to say “you are not on vacation, you are on an adventure. Disney offers vacations.” The crew will show you a good time even when things do not go as planned. They welcome complete strangers to their home every week and create wonderful memories for everyone. In short, your crew makes your trip. Ask them questions and for help when needed. Believe it or not, you make their trip too. Liveaboards have a large upfront price tag but offer an economical ways to travel in light of the all inclusive feature. Most people new to liveaboards do not know that crews work on gratuities. Only the captains are paid real wages and a crew will rely on tips for the vast majority of their income. 15% is a standard tip. If you choose a company that has been around quite a while and comes recommended, expect an outstanding crew. In that case, the crew is probably used to seeing tips of 20% and greater so make sure to include that in the budget. If you make special requests, plan to tip the crew member who accommodates your need an additional amount. Most likely that crew member has chosen to accommodate your need out of the kindness of their heart. Above all else, remember the things you were taught in kindergarten. A boat is a small place. Please and thank you, sharing, and waiting your turn go a long way and help to forge new and lasting friendships. Alexandra Baackes is an underwater videographer and blogs about travel and diving at Alex in Wanderland. My blog has a lot of completely unique content I’ve either written myself or outsourced but it looks like a lot of it is popping it up all over the web without my permission. Do you know any ways to help prevent content from being stolen? I’d definitely appreciate it.